A dedicated and effective Product Owner is critical for a Scrum Team to deliver exceptionally successful products that delight customers, gains market share and yields high ROI for the organization. Jenny is a director of product development at a global organization that is in the midst of a massive transformation. The market they operate in, is evolving rapidly, the customer needs they specialize in serving well are fast changing and the way they organize and run the enterprise must adapt to demands of the newer generation of knowledge workers. Jenny is smart and thoughtful leader. She is responsible to serve millions of users every day via a portfolio of web and mobile applications. Her annual budget sits north of $20 millions and brings in close to a $1 billion in revenue. To help their organization become adaptable, Jenny and her team started implementing Scrum framework a year ago. 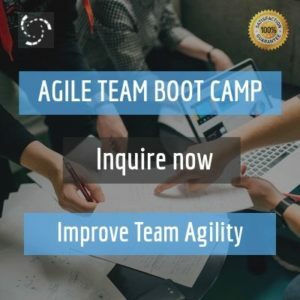 I am Kamlesh, Agile/Lean coach and trainer. Jenny, her team members and I are meeting this morning at 9. Our discussion will focus on the opportunities for her team to get better at adapting to changing requirements and aligning a large number of team members, partners and vendors. Jenny responded to a brief questionnaire I sent her last week. In her response she mentioned, gaining better Net Promoter Score is one of her primary focus. Jenny and I have known each other for some time and I’m looking forward to meet her. Me: Good Morning! How are you? I’m well. Thank You. Jenny is energetic. She introduces her colleagues Alex, Srini, Deb and Priya. We greet each other, and walk to a conference room. Freshly brewed coffee is waiting for us. Jenny and team has come ready for our conversation and I can guess, is eager to go to the next level in their Agile journey. Priya has nice visuals of their products on two flip chart sheets. She is posting these sheets next to the whiteboard while we sip the coffee and share couple of laughs. Jenny kicks off the meeting with a brief 30,000 feet introduction of her portfolio. After her, Deb gets up to give us an overview of the product and their SCRUM implementation. “It (the Product) comprises of multiple applications which are tightly coupled. We aim to reduce delays due to one team waiting for another team to deliver a service or functionality. One cross-functional team supports one application. All teams follow Scrum except one team. Jenny works with the marketing and Priya assists her. Priya also works with the BSAs to refine the requirements. Alex acts as a Program Manager, manages the budget, hiring, procurement and working with outside interfaces. Srini and I play the Scrum Master role. So who is the Product Owner? I eagerly posed the question to Deb. Deb is looking at Srini with a question mark on her face. Srini turns toward Jenny. There is a pause and a shift in the energy in the room. What do you mean?” Jenny jumps right in. She opens up her shoulders and re-adjusts herself on the chair. I continue to look at her without any reaction. “We don’t have a “separate” Product Owner; Jenny indicates in quotes. Priya pitches in, We all work on that. Priya’s response brought relief on everyone’s face. Srini adds, We have shared ownership of the Product Backlog. Anyone can add user stories, defects, technical debt to the Product Backlog. Team members collectively refine and volunteer to pull the items. It’s great to know that you’ve a culture that encourages collaboration and shared ownership. Does that mean you all play the role of a Product Owner?”, I ask firmly. 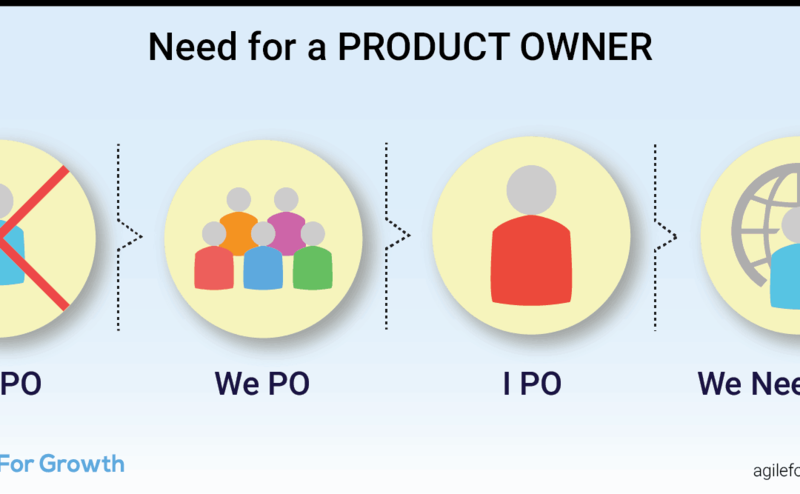 “We, Product Owners? not really” Srini replies. “Who tracks the release? I ask. I decide that. Jenny replies with a firm voice. Would you say, you are the Product Owner? I ask. I, Product Owner?” Jenny thinks and carries on, “Priya helps me with the information and with making decisions. We both remain in tight sync our marketing group. They give us the priorities. And who talks to the customers? Marketing. Priya has a clear answer. I ask, “How will your customers feel?” Everyone nods and smiles!! Hey, I invite you to explore within your team and organization. Want new articles as they get published? Subscribe to our Awesome Newsletter.